It’s lunchtime on a sunny spring day and Chelsea is showing off its old-school charms in all is blossomy glory. I’m here to meet Caroline Gration, the founder of the The Fashion School, a new studio just off the King’s Road and a stone’s throw from Chelsea Town Hall. The light-filled studio is a space where children from six years-old upwards can imagine, experiment and make something truly unique, guided by real life fashion designers, using recycled fabrics donated by labels like Preen and Liberty. Gration fast became a senior lecturer in fashion, teaching all over the country and combining it with other projects. “I was doing colour forecasting when it was a big thing, calling white ‘polar’ one year and ‘arctic’ the next,” she laughs. “But I always had very strong thoughts about fashion education. I always thought there were lots of people involved in fashion education who were devoid of any concept of the industry itself. 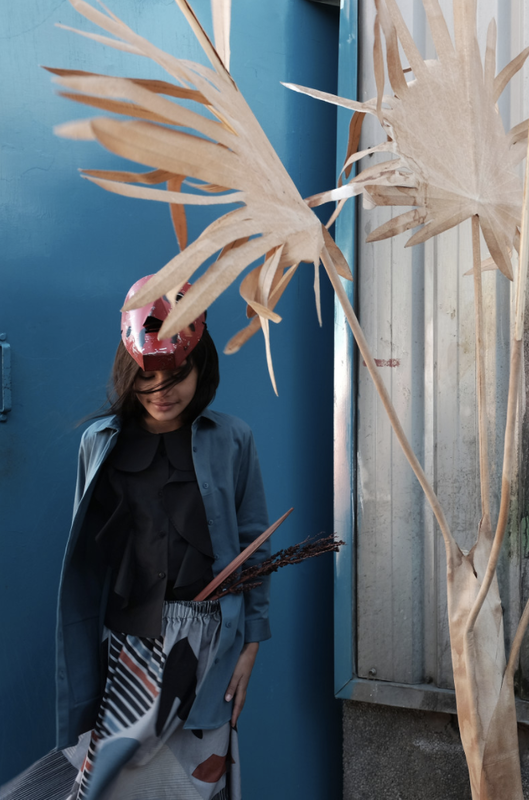 They were becoming less and less connected with the students.” Gration wanted to bring some of her hands-on experience directly to her students so they felt involved in it and not afraid to walk into Gucci or the V&A. She keeps that same mindset even with her youngest students, organising regular trips to the V&A, advertising agencies and colleges like Central Saint Martins. I discovered this brand at a local shop, they make their products sustainably and I have a couple of items from them including the large muslin and a cuddle blanket. Everything is beautifully made. I fell in love with this eco-firendly kids’ brand when I spotted a pair of their printed leggings and started following them on Instagram. They have cute, graphic designs which are perfect for little ones. I was gifted their bibs by a friend and I love them. I love Scandinavian fashion so there’s no surprise I adore this brand selling gorgeous nursery and kidswear. I want everything, especially the lovely rugs. I only discovered this brand recently, and love them for their fun, adorable designs for boys and girls. I already have so many of the pieces from the new collection on my wish list for my little one. I also like the fact their products are environmentally friendly. Tell us how My Twirl started? Lisa and I were next door neighbours and had our third babies at the same time. On our long walks back from mummy and me classes we would discuss our careers, dreams and frustrations with dressing our little girls who only wanted twirly dresses. We agreed there was a gap in the market, and by chance our skills complemented each others. I spent my career in sales and marketing for fashion trend forecasting companies, my mother, Celeste, is a clothing designer with 35 years in the industry (designing kids clothes for Calvin Klein in the ‘80s) and Lisa is a lawyer with finance experience, so we took the leap and started MyTwirl at the end of 2016. 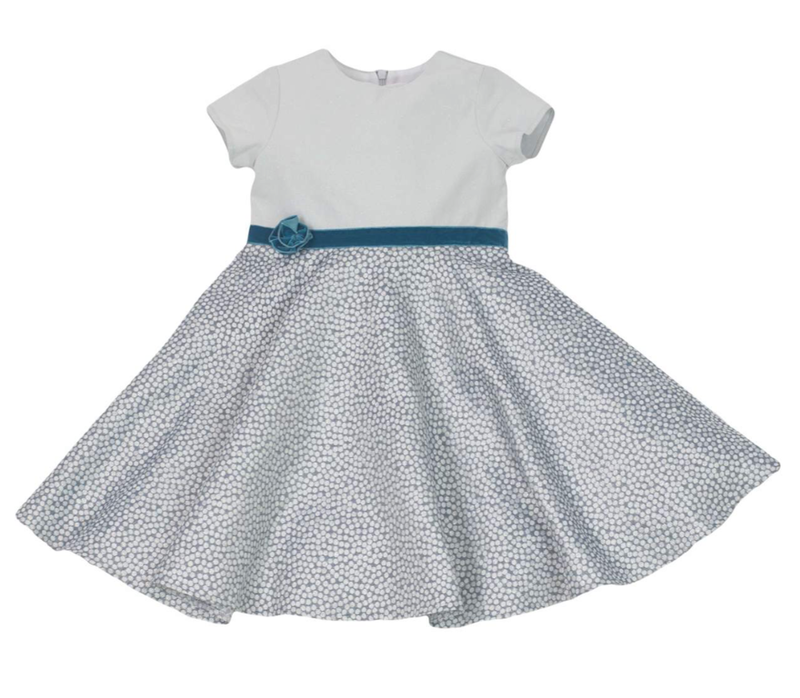 There’s a big trend towards unisex clothes at the moment but My Twirl is unashamedly (and wonderfully) girlie. What prompted you to launch the brand now? Most little girls don’t follow trends and many would prefer to put on a synthetic princess dress every day. I was one of them! I vowed to avoid it with my own daughter, but it was inevitable. Our aim with MyTwirl was to bridge the gap between what the girls wanted to wear and what the mums and dads wanted to buy so we combined beautiful, soft fabrics, impeccable quality and classic design with a modern twist. I think we stand out among other collections for girls because we have stayed true to who we are, a brand and aesthetic for girls who want to be playful, carefree and be little girls. We are conscious to not be overly pink or frilly, and we try to offer a variety of colours and styles that truly make us a playground-to-party item. Throw on a pair of our twirl shorts and trainers with your my twirl dress, and it goes straight in the washing machine at the end of the day. The quality is impeccable - tell us where and how they are made? Thank you! Quality was the most important aspect in creating our dresses. All fabrics are sourced in Europe (mostly Spain, Italy, UK and France) and they are manufactured in Riga, a beautiful city on the Baltic Sea. We wanted to keep the made in Europe footprint, and work with a small and lovely talented team there who take care in constructing every dress. We are small businesses supporting a small businesses. My girls are obsessed with the twirling! How important is it for kids to love and interact with what they are wearing? As a mum, I love that with MyTwirl there is no longer a fight in the morning to get dressed. With a designer mother, she used to try and dress me on-trend. Unfortunately, it was a lot of trousers with stirrups and blazers with shoulder pads in the ‘80s. I would cry and wish I could just wear a pretty dress. I think it’s important for kids to feel good and confident in what they're wearing. The smiles we see when girls try on our comfy dresses and twirl for the first time is priceless. They can dance, they can play, they can run, they can sit. They can be carefree. When we first launched, we only went up to a size 7/8, believing that girls were over twirly dresses by then. After many requests we added a size 10, and probably sell that the most. It turns out there is something magical about a twirling skirt, even the mums want them! What sort of occasions are the dresses for? Any and all. We say we are for girls who twirl from playground-to-party because they really are meant to be dresses to wear again and again. All are machine washable and we look for fabrics that are beautiful but stand up to kids’ active lives. My daughter has worn hers to a farm, the playground, school, cinema, parties and for Christmas! I used to save dresses for a special occasion and they were never worn. What a shame! I now let her wear them whenever she wants. What have been your best-sellers to date? Our jersey dresses have really become our signature items. We launched with Lily, and it sold out, so we have since reproduced it in another colour, and have used elements of that design in other styles. Because of the variety in colours, fabrics and styles we feel we can offer something to appeal to different tastes and wants, and thankfully I can say that they have all done well. And finally, your dream destinations with kids in tow? Lisa and I had a little laugh at this because it is ever a dream destination with three kids in tow?! But her pick would be Île de Ré in France where she just spent a wonderful week with her family exploring the island on bicycles, beaches, great food and lots to explore. Both of our families tend to shy away from resorts and opt for exploration, gorgeous scenery and great food. My favourite destinations with my children have been Scotland and Portugal. In Scotland we started in the Trossachs, and traveled by car through the Highlands to the Isle of Skye. On the way back we visited Torridon and the Lake of Menteith. Castles, hikes, cows…even for this city girl it was absolute perfection. Portugal was a week of travel as well, starting on the coast in the Alentejo region, moving by car to medieval cities, a gorgeous vineyard and finally Lisbon which we didn’t want to leave. Portuguese brand Wolf & Rita, fuse luxe natural fabrics with cool muted tones for one of our favourite collections of the season, 'Folk N' Roll'. Inspired by traditional Portuguese folklore, including the enigmatic quirkiness of Caretos de Podence (masked clown-like characters that appear in carnivals in the north of the country) and the fishing communities of Nazaré, it's full of quirky charm. The idea is that kids are encouraged to relive, revive and become part of the story. We're in. Having cut her teeth at Wallpaper magazine, where she spent six years as fashion editor, Niki Brodie became an independent fashion stylist working for style publications including Sunday Times Style, Tatler, Elle and Lucky Magazine. For the past six years she has worked closely with creative agency Spring, offering content, production and post-production service. Brodie is also actively involved with soon to launch Sitting On A Sofa, a beautifully curated digital destination where sellers can recycle their pre-loved fashion with £5 of every transaction being donated to their chosen charity. Here, Niki selects the five dreamy pieces that will revive your summer wardrobe in one easy step. And yes, more affordable alternatives on the high street do exist. Yvadney Davis is a freelance kidswear fashion stylist and mum to MG, five, and Lolo, two, with a fashion design degree from Central Saint Martins. She has worked for brands including Aden & Anais, Saltwater Sandals and Le Mu and her work features regularly in publications such as Smallish, Little London, Babiekins and Hooligans Magazine. Name three kidswear trends for summer? - Sports Luxe - performance fabrics, logos, bold silhouettes and bright colours (right). - Rainbows - the continuation of the unicorn trend, with lot's of rainbow hues and metallics. How to break out of the same old navy and stripes for boys? Your top tip for dressing kids and getting out the house in the morning? Firstly if you can, get the clothes laid out and ready from the night before. This means the older ones can get themselves dressed without waiting for the green light. If you're little one really wants to be a "mermaid today" let them wear their costume over their outfit. You will waste time pleading and going back and forth with your headstrong toddler, far easier to be on your way and discard it later on in the day when they inevitably tire of it. Your dream family holiday destination? Japan. We're hoping to go for the 2020 Olympics. I'm drawn to the futuristic hustle and serene gardens of Tokyo and the other worldly charm of Kyoto, geisha and tea ceremonies. Five favourite independent kids labels? Oooh that's a hard one, as I have the pleasure of working with so many! Jess Luby was an English Language teacher and a teacher trainer for an adult education school in central London before setting up her ethical basket label, The Wanderer. She lives in west London with her husband and baby daughter, Olive. It was a bold move to pack your job in when your baby, Olive, was just a few months old. What inspired you to launch ethical baskets made by crafts people in Africa? I was searching for a Moses basket for her and saw nothing I liked on the U.K. market. I knew and loved the traditional baskets from Ghana so started researching how I could work with some weavers in the region. I had a meeting with AfriKids who work do valuable work there and we decided to co-brand. They sourced the weavers and I sent a photographer out there to document the process. Briefly, describe how each one is designed and made? The designs are based on the traditional Bolga baskets, native to that region. I have tweaked a few of the designs and colours to suit the identity of the brand. The grass grows abundantly in the area and also in neighbouring Burkina Faso. Do you think it's easy to shop with ethical, fair-trade and environment in mind these days? I don’t think it’s easy, necessarily. But I strongly believe we have a responsibility to. We have a long way to go, but we can all be more mindful of the decisions we make when spending our money. If something is cheap, it’s probably going to have compromised someone, somewhere. The time is now for ending oppression in fashion. Since having Olive, I’ve been much more aware and try to buy organic, plastic-free and fair-trade wherever possible. Natural materials are guilt-free and second-hand is even better. Landfill scares the hell out of me, so I try to reuse and recycle as much as possible. What have been your best-sellers so far? The classic styles have done really well. The Atia and Abena and more recently the Patience Moses baskets have been very popular. The brighter baskets are brave choices, I guess. Have you been surprised by the incredible reaction to the moses baskets? To be honest, I’m not massively surprised by the huge response. I knew they would be popular as soon as I saw them. They really are masterpieces. When you see them in the flesh you appreciate the work and skill that have gone into weaving them. They are scattered around my home and make such beautiful homeware pieces. They’re just so impressive. Finally, what's your favourite travel destination and why? Wow that’s so hard to answer! I love travelling and seldom go back to the same place twice as there are so many places to discover. My next big trip is to visit the weavers in Ghana. I haven’t been able to make the trip yet as the region is malarial and I breastfeed Olive. We are going in October this year as by then she’ll be old enough to take the anti-malarial medication. Cant wait to get over there and also see the current projects AfriKids are working on. My first baby was days from being born. The hospital bag was packed, those miniscule first outfits were lovingly laundered and the buggy was ready and waiting. For me, it was at this point I panic-invested in a C-shaped feeding cushion from there NCT shop on the last minute recommendation from a friend. It was bland by design but functional by nature and once my first babe had arrived, it became one of my most crucial items of baby kit. So, I was thrilled to see these charming designs at Playtime Paris recently. Nanami, is a Dutch brand that has cleverly filled the gap in the market for stylish feeding cushions. This tactile polar bear design (above) and whale (below) grows with your baby and becomes a cushion to prop them up before they can sit independently and then a cuddly toy throughout childhood and beyond. I wouldn't even mind it on the sofa. If you are looking for the ultimate baby shower/newborn gift, here it is. Who said the trend for wall decals was over? Not if these jumbo circular designs by Mini Wallers are anything to go by. Graphic designer and illustrator Katie Williams was inspired to create these striking wall stickers while feeding her baby in the early hours one morning when she found herself staring at a blank wall. Arriving in three diameters (65cm, 90cm and 1m) and easy to attach, each one is a big statement in its own right. There you go, a quick and effective way to transform your child's bedroom or nursery. Emilie Walmsley lives in Paris with her two daughters aged nine and 12. She launched Babyccino KIDS ten years ago with like-minded friends, Courtney Adamo and Esther van de Paal. The website now hosts over 300 independent kidswear brands. We recently caught up at Playtime Paris. Portrait by Katrina Campbell. What are the challenges of dressing your girls? We have a lot of discussions about less is more. I prefer to buy something that is worthwhile that my eldest can hang on to and then pass onto her sister. Clothes need to be sustainable, we need to be looking at the world. That’s part of our responsibility. We need to bring up a generation of kids who understand what sustainability is. Teenagers are tricky as they have been so pushed to buying fast fashion and it's hard to get them out of that mindset. Do you agree on style? So it’s funny because there’s a big difference between how my 12 year old dresses and how my nine year old dresses. My 12 year old has very strong ideas about what she wants to wear. I don’t want her to wear throwaway clothes. A way we get around it is by creating a board on Pinterest so I pin up stuff, she pins up stuff and they we sit down and look at it and decide what will works (read Emilie's post about it here). I'm not willing to go to cheap shops and buy things that I know have been badly made. She’s also getting into vintage which is brilliant – the ultimate form of recycling. Top tip for getting out the house in the morning? When they were tiny I used to put them to bed in leggings and T-shirts and then just get them up and chuck a dress on top because it was hell to get out of the house in the mornings. I'm really into simple dressing. The first thing to do is make sure they know the night before what they are going to be wearing the next day. School uniform is incredible as it saves a lot of arguments – we don’t have that here in France. I'm so jealous. 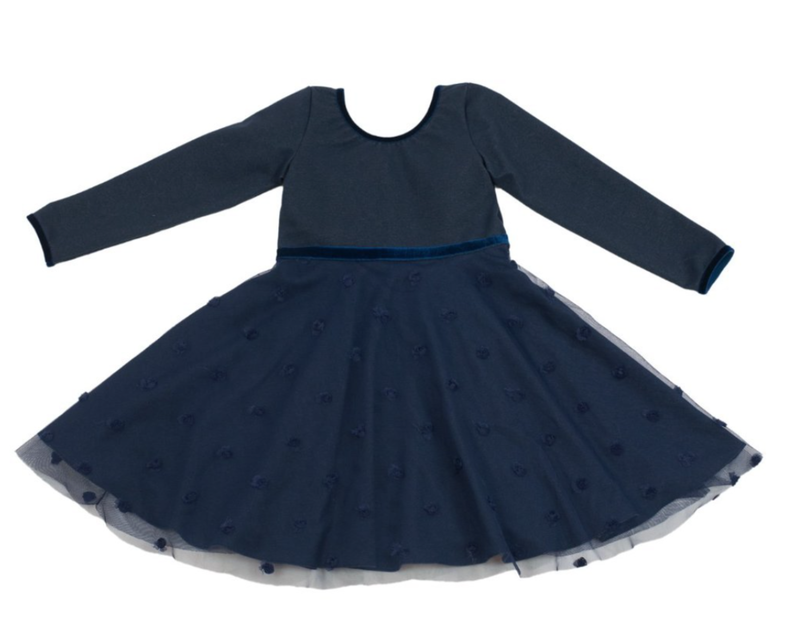 I love Le Petit Germain, Bobo Choses and Tuchinda – all kids' fashion label that really stand out at the moment. Decor-wise I love Camomile London. And for baby gifts, Hazel Village and Sweetcase. There’s a dearth of good teenage brands – there's a real gap in the market there. Trend-wise, there are still lots of classical styles around for the next season including blush pinks, creams and greys.